Information about Little Nashville country music entertainment, theatre, & recreation in Brown County Indiana. Links to wedding chapels, restaurants, shops & activities. Information about Brown County music entertainment, theatre, recreation & activities in Brown County Indiana. Links to live entertainment and movies. Links to wedding chapels and outdoor weddings. Information about Nashville Country Music and Theatre. Little Nashville is Fun, Art Studios & Craft Galleries, Brown County pottery & Bean Blossom Bluegrass Music Entertainment. Visit the gardens & gallery at T.C. Steele Historic Site. Find information about hiking & camping in Brown County State Park, Fishing Lake Monroe Reservoir & Hunting Yellowwood State Forest. 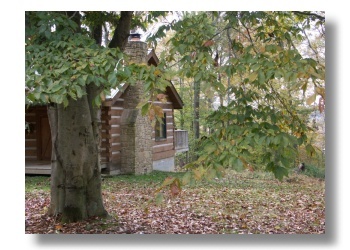 Brown County State Park, located near Nashville, is Indiana's largest state park. Millions of midwest families visit Brown County State Park each year. They camp, hike, swim, fish, ride horseback, picnic and enjoy the natural beauty of the park located in the rolling hills of southern Indiana, just one hour south of Indianapolis and twenty minutes from the campus of Indiana University in Bloomington, Indiana.